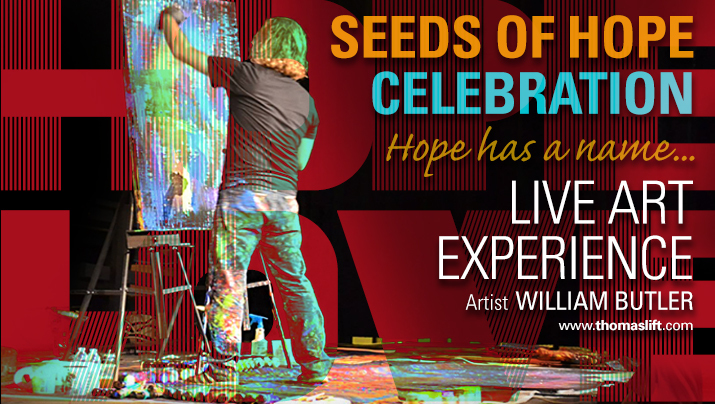 William is sincerely grateful and honored to paint live for the Seeds of Hope Celebration Banquet on Thursday, October 4th, from 6pm – 9pm. This event will be held at Sovereign Grace Church located at 111 Greentree Road in Marlton, NJ. William will begin painting promptly at 7pm. Hope Has a Name – Jesus!Special thanks to the incredible Bill and Brenda Antinore.